The chamber voted Friday for alterations that the legislature's Republican leaders decided to make after a court this week blocked two similar referendums from the ballot. Now the measures head to the Senate for likely passage early next week. Constitutional amendments aren't subject to gubernatorial vetoes, but Democratic Gov. Roy Cooper filed a lawsuit challenging two amendments approved in June. Judges this week decided those amendments contained ballot questions that were ambiguous or misleading. One amendment updated Friday retains a proposal that would give lawmakers input in filling judicial vacancies. The other creates an eight-member state elections and ethics board whose appointments are determined by legislators. North Carolina's current Democratic governor and two former Republican governors aren't happy with the General Assembly's decision to attempt to rewrite two proposed constitutional amendments that a court blocked from going on ballots this fall. A spokesman for Gov. Roy Cooper said the new amendments that GOP lawmakers are considering in a special session that started Friday "remain deceptive, unconstitutional and wrong." Ford Porter also says the proposals still attempt to eradicate the separation of government powers by shifting executive branch duties to the legislature. Former Republican Govs. Jim Martin and Pat McCrory joined three Democratic ex-governors last week in opposing the two amendments. 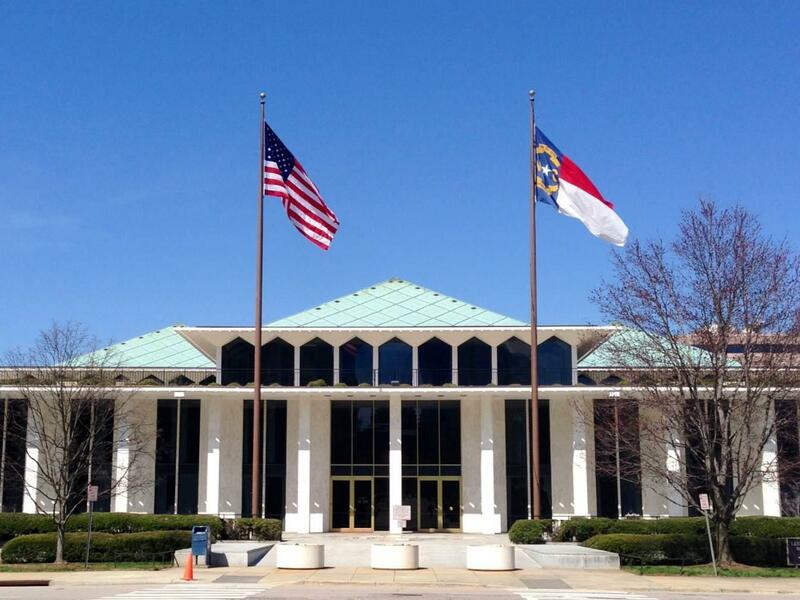 McCrory and Martin wrote an open letter Friday saying the better course for legislators is to remove the questions entirely and eliminate a "major distraction" as voters consider four other proposed amendments still on ballots. The North Carolina legislature has reconvened to pass two proposed constitutional amendments that will replace a pair that a court this week blocked from going on November ballots because the questions were misleading. The House and Senate gaveled in the special session Friday morning. The House was expected later in the day to debate proposals that would rewrite those amendments. One referendum would ask the public whether the legislature should have more control over whom the governor picks to fill judicial vacancies. The other one, if approved, would give the General Assembly decision-making over who serves on an eight-member state elections board. The Senate isn't expected to vote on the proposals until Monday. Senate leader Phil Berger told reporters approving new referendums is better than appealing the court decision because it will ensure voters can decide this fall what they want in their constitution. The North Carolina legislature is coming back to work to change two proposed constitutional amendments because a court this week decided the ballot questions aren't stated well enough for citizens. Republican lawmakers presented enough signatures to call themselves back for a special session Friday. It marks the third time the General Assembly has returned to take votes since this year's main session ended June 29. The GOP wants two new amendment proposals to replace those that judges ruled on favoring Democratic Gov. Roy Cooper and the state NAACP. The amendments would swing powers from the governor to the legislative branch. They've been criticized by all five living ex-governors and all six living former chief justices. The session likely won't end until Monday. Constitutional amendments aren't subject to Cooper's veto.